Herbs can be such a great way to add nutrients to our diets with almost no calories, but with tons of benefit. Here is a list of some simple herbs you can add to your weekly diet to help you live A Healthy Life. 1. Ginger: Anti-inflammatory and great for digestion. Add fresh ginger to juices, teas, and pretty much any vegetable dish. 2. Cumin: Supports healthy blood sugar levels and is an anti-oxidant. It’s a great mild spice for curry or fish dishes. 3. Cinnamon: An anti-oxidant and supports healthy blood sugar levels. Add to cooking and healthy sweet treats or to coffee, oatmeal or yogurt. 4. Turmeric: Contains curcumin, plus it boats anti-inflammatory, anti-cancer, anti-oxidant properties. Great in curries, rice and veggie dishes. 5. Rosemary: Is an anti-oxidant and has anti-cancer properties. Add to any tomato-based vegetable dishes, soup or stew. 6. 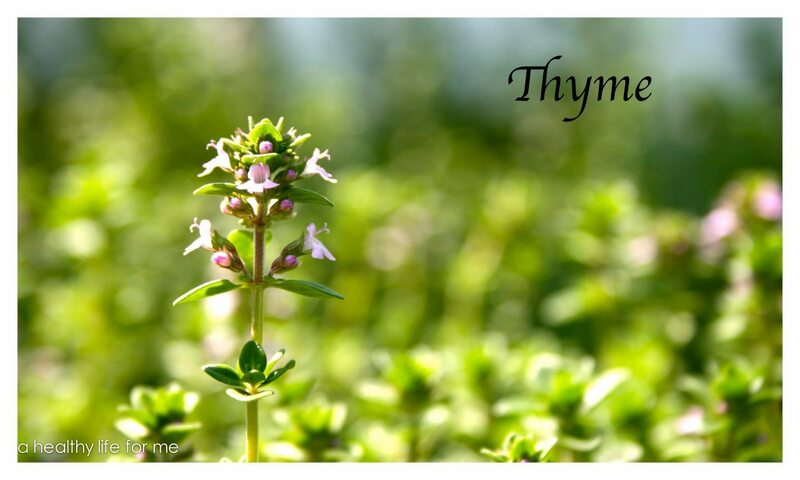 Thyme: Is a natural antibacterial, rich source of polyphenols and flavonoids and improves digestion. Great added to any soup or stew. 7. Cayenne: Destroys bacteria and enhances your immune system, improves blood flow, has anti-inflammatory, antioxidant, antiseptic, diuretic, analgesic, expectorant, and diaphoretic properties. Add to soups, stir-fries, curries and rice veggie dishes. 8. Garlic: Helps to lower blood pressure, reduce cholesterol, control triglycerides (fats) and thin the blood, reducing clotting in high-risk heart patients. It also supports general immune function, has a natural antibacterial and antifungal action, acts as an antiseptic, fights infection and contains chemicals that help to prevent cancer. Great in pretty much anything you cook!